Good design, looks smart and is easily installed into your car via isofix base. Can be tricky to readjust the straps whilst baby is in the seat and once the infant inserts come out it isn’t quite so comfortable. Good value for money. One of The cheepest RWF "s in the market. Baby looks comfy there. It grows with baby so can be used for few years. I recommend this product. 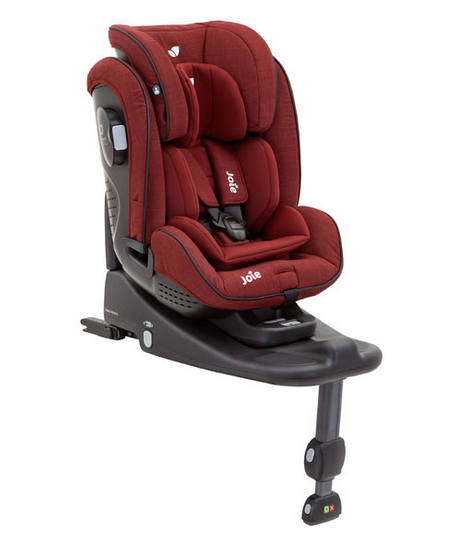 I initially loved this seat, it was great value for money and suited my 1 year old perfectly. However he is now 2 and is of average size and height yet he looks uncomfortable and squished. So I would say it deffenitily wouldn't be ideal for a 4 year old. I also have noticed that the straps twist constantly so I am always readjusting the straps and twisting and turning them so they are actually secure. My friend has the same seat and has the same issues with the straps. On a plus the chair is easy to move from reward to forward facing and simple to get in and out of the car. It is an all round great car seat. Really simple to change positioning to rear facing and no fiddly re- threading to adjust strap height. It is quite bulky though with had prevented me using a car seat on the middle back seat. Just up to 18Kg/ 4 years old. The product description says that can be used up to 18kg or 4 years old. A baby on 75th percentile or higher won’t be able to use it until 4 years old. Some German studies available on internet says this car seat isn’t safe in lateral car crashes. We bought this seat as a second seat for my husband's car and to be honest it is brilliant! I can not find any faults with it at the min. My son looks really comfortable in it and will happily sleep. On rear facing is a little bit uncomfortable to lift baby from the seat, but you get used to it. 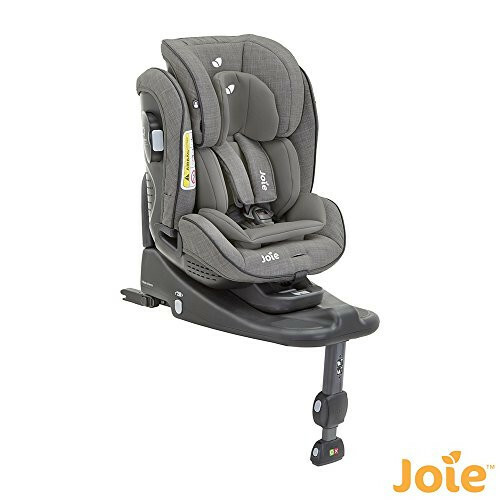 Fully safety tested for your peace of mind, the Joie Stages Isofix 0+/1/2 Car Seat is a travel hero engineered to grow with your child from birth to 7 years. Rear (birth to 18kg) or forward facing (9-25 kg) adaptability enables you to keep up to date with current safety advice with a one button press. Another convenient feature is its ability to recline in 7 positions using just one hand, and you can do this without having to keep reinstalling the car seat. The headrest also morphs into the perfect position as your child gets taller, and the harness system (with its soft padded covers) adjusts with it too, but without the need to fiddle and re thread. Includes its own intergrated isofix base with support leg to just click into your car's isofix attachment. All the safety features you could hope for are here, including side impact panels, integrated rebound bar on the base, and colour indicators so you can be confident it is properly installed. 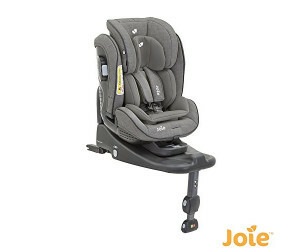 The Joie Stages Isofix 0+/1/2 Car Seat is a durable, comfortable, safe, versitile transportation option, with longevity.